….For three-quarters of a century, this seasonal celebration has joined food and music under a banner of 16th Century English pageantry. Opening with wassail and a presentation of the Boar’s Head, the celebration continues with caroling, minstrels and a holiday feast. The menu for this 75th annual gala includes Cornish game hen with raspberry puree, curried veggie paella with asparagus as the vegetarian option, and flaming figgy pudding with hard sauce. The food will be followed by a performance of the Philharmonic Chorus of Madison,…Dinner concerts will also be held from Dec. 3-6 as well as Dec. 8-9. It all started about 12 years ago at a candy store in Oak Glen in the San Bernardino Mountains, where Vera Stouten worked as a manager. Stouten enjoyed being around the candies and the people who came to buy them. It was a happy place. So in early 2006, Stouten began to make chocolate-dipped candies and sell them online at LadyRowleySweetsandSuch.com. She also started selling her candies at the annual Renaissance Pleasure Faire in Irwindale and other community events and weddings. The 45-year-old Redondo Beach resident makes most of her candies at a local catering kitchen. If her candy business takes off, Stouten plans to leave her day job as a file clerk at a law office. Making candy, selling them, schmoozing, getting the people to try our candies. It's just something I like to do. My husband helps support it. My kids and sisters all help out. How many hours a week do you devote to this business? According to Greek myths, the gods dwelling on Mount Olympus would sip mead while watching the follies of their human charges below them. J. Bird Winery, located west of Grandy, continues the ages-old tradition of distilling the honey-based beverage, and the quality of its mead is no myth…. …Another festival favorite is the “Scorpion Sting” mead which has a little more pucker than the “Curse.” Also, when the wild elderberries are in abundance, J. Bird will put out a seasonal “Bloody Mead” which I would wager a few pound notes is pretty dang good, too. When the calendar turns to June, the Birds hit the road for a busy summer of serving meads and wines at a bevy of festivals, kicking off June 2-3 at the Sioux Renaissance Faire in Sioux Falls, South Dakota. 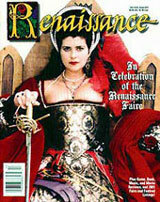 June 8-10 is the Old World Faire in Twig (just west of Duluth). This past year, organizers of the Wisconsin Renaissance Faire approached J. Bird Winery to serve at the Chippewa Falls-based festival June 16-July 15. Then, of course, it’s the annual trip to the Minnesota Renaissance Festival Aug. 18 - Sept. 30 where J. Bird selections can be found at “The Mead Booth” and seven other booths on the grounds. A different band plays in front of the booth every half-hour, and often the troubadours will bellow “Put up the mead!” to entice tipping the steins while on break. “The Minnesota Renaissance Festival is where most people became acquainted with our meads. After the festival, people would drive up to our place – some from three or fours hours away – to make a purchase. Last year, a guy bought 15 gallons to be served at his daughter’s wedding,” explained the elder Bird. …A sign on the shop says, “Pets and spouses are welcome if kept under control.” If you stop in and James R. has time, you can hear the Celtic legend of how mead got its name….